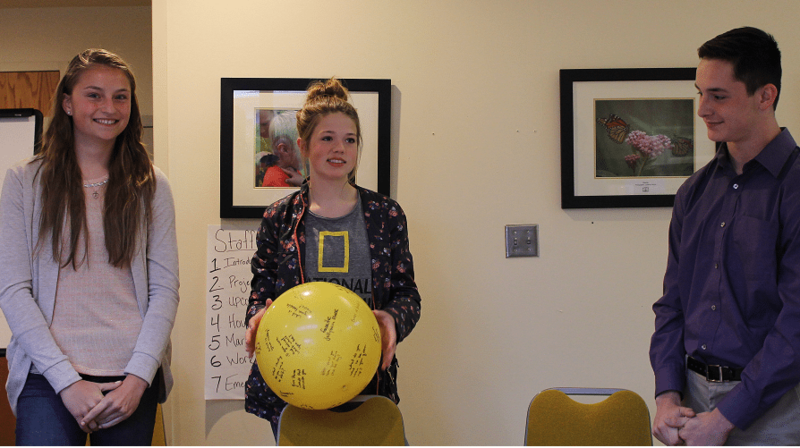 The Buffalo County Youth Advisory Board conducted interviews in April for next year’s new board members. To apply, students fill out an application and current YAB board members conducts the interviews. After the ice breaker the current YAB members went to an interview room and interviewed the new youth one by one. 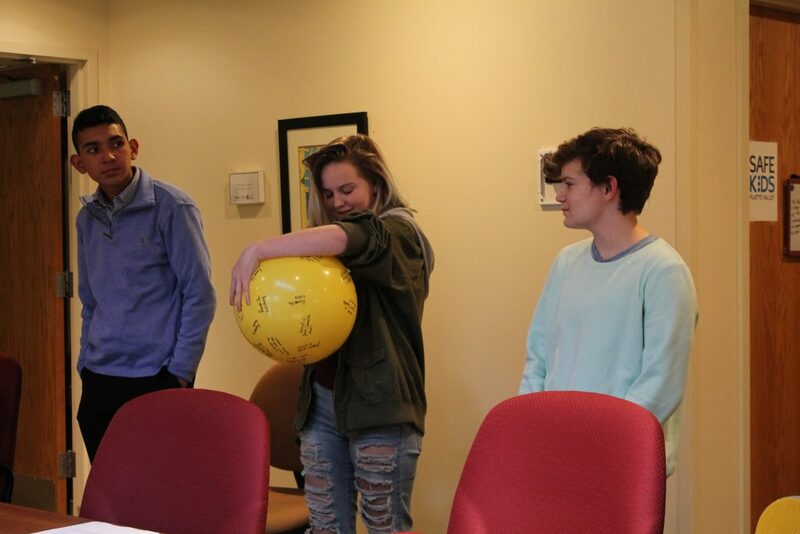 From left to right: Jose Montanez, Shelton; Brooke Anderson, Kearney; and Matt Smiley, Kearney all introduced themselves with the “ice breaker” ball. These three students were all applying for a position on the YAB board. “I truly believe YAB provides youth with an opportunity to learn leadership skills that will carry them into college and the rest of their lives,” said Arias. The new YAB board members will be announced next month. Until then, our YAB board is preparing to release a survey to their peers that asks questions regarding substance abuse, stress, and school spirit. The youth wanted to find out what their peers would like help with in these areas. The youth have created the survey and plan on using their school counselors and administration to promote the online survey to their peers.